Here are some of the best sales and discounts on kitchen gadgets and cookware we found online. A gorgeous set of bowls can help brighten up any morning—or make for a really unique gift set (it's not too early to think holiday!). This Lenox "Butterfly Meadow" 12-piece bowl set features a variety of bowl sizes and is currently on sale for $99 (reduced from $130). Nothing like a large-capacity toaster oven to really change the game in the kitchen. This Oster large capacity countertop 6-slice digital convection toaster oven is big enough to do all the toasting—and it can also accommodate pizzas, casseroles, and cookie sheets. This leak-proof, minimalist Rubbermaid "Brilliance" food storage containers come in a set of six, on sale for $10.77 (reduced from $14.99). Perfect for chic adulting. If you're a fizzy drink addict and don't already have a SodaStream in your life, well, what are you doing with yourself? This SodaStream Fizzi sparkling water maker in red is currently on sale for $59.99 (reduced from $79.99). For at-home taco nights, a good set of taco holders is essential. This taco-holder two-pack is currently on sale for $7.64 (reduced from $8.99). 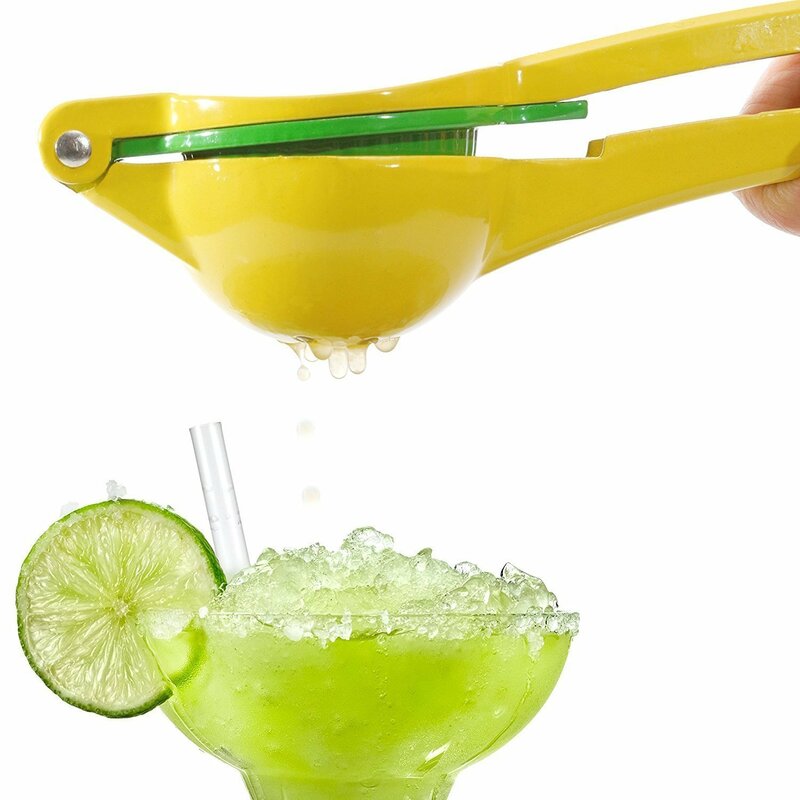 Envy your local cocktail bar's effortless-looking citrus juicer? Now you can have one at home— at a discount, no less! This Wildjue manual citrus press comes in a sunny yellow and is on sale right now for $15.99 (reduced from $19.99). At my local pourover coffee place, they fill the gooseneck kettle with hot water from the industrial water-boiler tap thing, but at home, this Osaka 1 liter electric quick boil gooseneck water kettle would probably be much more convenient. It's currently on sale for $29.99 (reduced from $79.99). If shaping burger patties with your bare hands make your fingers go numb, consider investing in this Weston burger express double hamburger press which comes complete with—wait for it—A PATTY EJECTOR built in. OK, it probably sounds more exciting than it is (it's just a thing that pushes the perfectly-formed patty out, intact), but this whole clever contraption is on sale right now for $32 (reduced from $49.99). Get it in time for all your August burger-eating activities. There's something magical about a tiered cake stand—it adds a sense of whimsy and elegance to any spread. This three-tier white ceramic stand is currently on sale for $18.50 (down from $24.99)—and if you're not prone to cake, it's super-useful for displaying jewelry and perfumes. This cookie cutter in the shape the continental 48 seems like it could come in useful. This 4.5" cookie cutter is on sale for $4.09 (could've been $7.04 and we'd have bought it).